Newly clean and sober, Todd's taken a shine to his job at Portland's most talked about bakery. It's not just the delicious desserts they sell, but the tasty treats who keep walking through the door. That certainly includes Kendall Rose, a wedding planner with eyes the color of brown sugar and skin to match. Todd doesn't try to hide his attraction to Kendall's elegant confidence and unique style, even as he worries about exposing the secrets of his past. Having missed out on Wrapped Together because of scheduling issues, I was delighted to be able to squeeze Danced Close in as I adore the Portland Heat series. 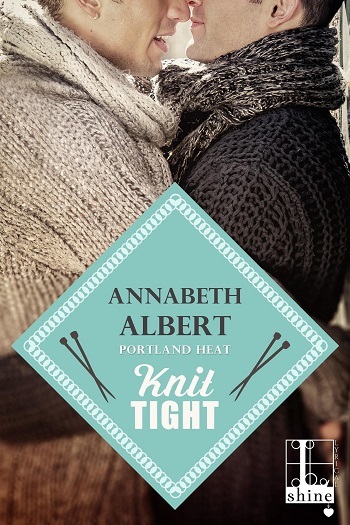 Albert does a great job of striking the balance in these novellas by penning believable connections that aren’t insta-love, yet propel the story forward in such a way that the reader gets to see the spark, the deepening of the connection, and the beginning of the relationship. Even when obstacles surface and the sailing isn’t smooth, the author guides the couple (or gets dragged along by them) toward the happy for now ending that is right for the men involved. That she accomplishes this in less than 150 pages is quite a feat because I’m left feeling happy and invested in the couples’ future, hopeful that they’ll make a cameo in a future installment in the series so I can see that they are still in love and working toward their happily ever after. As expected, Danced Close delivered all this and a bit more for me personally as I watched Todd struggle with the baggage I’ve witnessed friends deal with when navigating a new relationship – and no, I won’t disclose what it was since it wasn’t mentioned in the blurb. Because of it, I felt particularly invested in Todd’s character and how he not only found love, but he reclaimed a part of his past that he had closed the door on during his recovery and discovered new things about himself. I absolutely loved Todd; his earnestness, his openness, and his absolute acceptance of Kendall’s gender fluidity made him a breath of fresh air. It also made it impossible for me not to adore Kendall. I won’t lie, I find gender fluid characters absolutely fascinating. I am in awe of the person who comes to realize that they don’t “fit the norm” and is able to be true to who they are, especially in our current climate. So, seeing characters like Kendall take center stage and find that person who sees them for who they are on the inside, while wholeheartedly embracing who they are on the outside is wonderful. Equally enjoyable for me, was that Todd and Kendall discovered a new level of intimacy in their role reversal. I particularly liked the scene where Todd discovers that he’s not eager to give up the lead to someone who isn’t Kendall. Unsurprisingly, my heart broke for both characters when they faced an insurmountable obstacle (in their opinions), but I had faith that Albert would make everything come together in the end and she proved my belief in her writing to be justified. 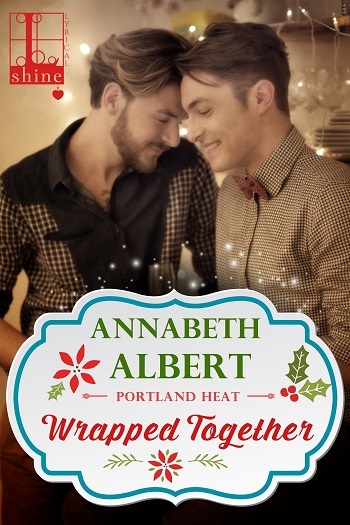 I absolutely loved Danced Close and look forward to backtracking to Wrapped Together, while awaiting the next installment in the Portland Heat series. This is the sixth in the series. 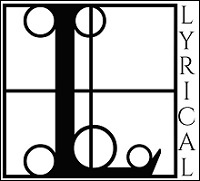 Although you do not need to read the others – as this introduces a new couple – there are ongoing background references to prior relationships. They are also good reads, so I would recommend them to you. These books are very effective at dealing with big issues in a very down--to-earth manner, and this one is most definitely no exception. Turning an invitation to a dance class into a relationship, for two people who had both thought their chances were slight given their pasts, works really well. There were times when I wanted a tiny bit more detail to really get a good picture in my mind. The story centres around a short period of time, with an enlightening epilogue. Kendall is a successful wedding planner. He is genderqueer, confident and comfortable with who he is. Todd is an open-hearted guy, a recovering drug addict who lacks self-confidence. In search of a dance partner for his upcoming swing dance lessons, Kendall invites Todd to be his partner. It was fun watching Kendall and Todd dance together. They share dinners, a shopping trip for vintage clothing, dance practice, and many kisses that lead to more. Neither man is after anything serious, but you know how that goes. When that their minds want does not match what their hearts want. I loved watching Todd grow with Kendall by his side. They make a great pair. Danced Close is definitely my favourite Portland Heat story. For reviews & more info, check out our stop on the Served Hot Blog Tour. For reviews & more info, check out our stop on the Baked Fresh Blog Tour. For reviews & more info, check out our stop on the Delivered Fast Blog Tour. 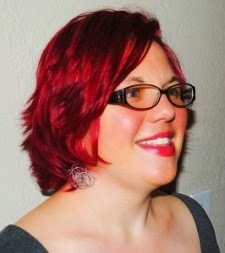 For reviews & more info, check out our Knit Tight post. For reviews & more info, check out our Wrapped Together post. 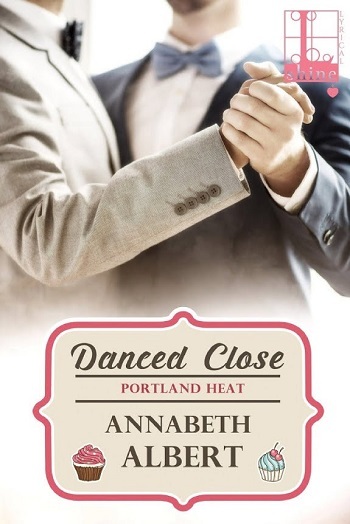 Reviewers on the Wicked Reads Review Team were provided a free copy of Danced Close (Portland Heat #6) by Annabeth Albert to read and review.